Many of these trees are the result of research at UMaine in order to investigate, for example, their hardiness for the state. Spring for the crabapples brings spectacular flowers, and fall a diversity of apple types. 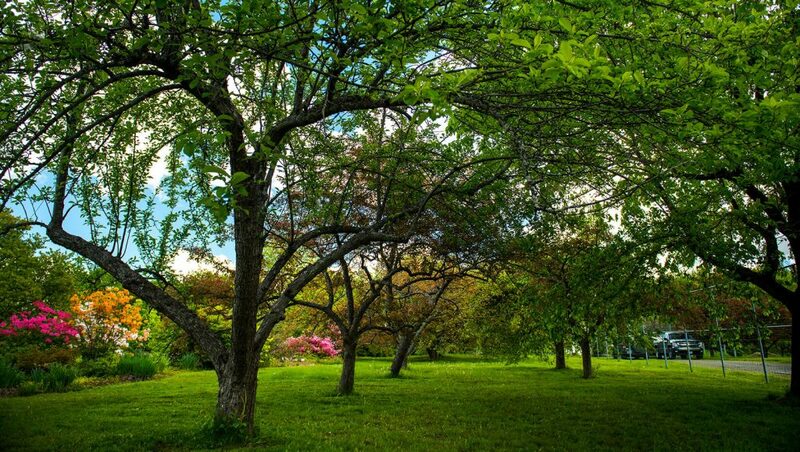 Crabapple trees are among most popular trees in Maine, found throughout state. Only four species of apple (Genus: Malus), all crabapple, are native to North America, none of which is indigenous to Maine. Origin of apples may be Kazakhstan or possibly Caucasus Mountains.